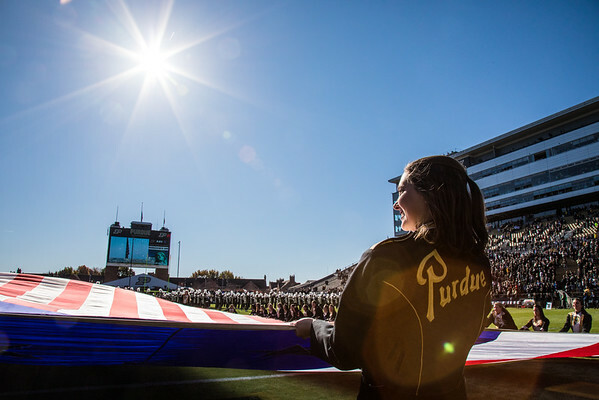 Saturday I was spending another beautiful fall day inside of Ross Ade Stadium. I really love college gameday at Purdue, and I wanted to savor this last one of the year. 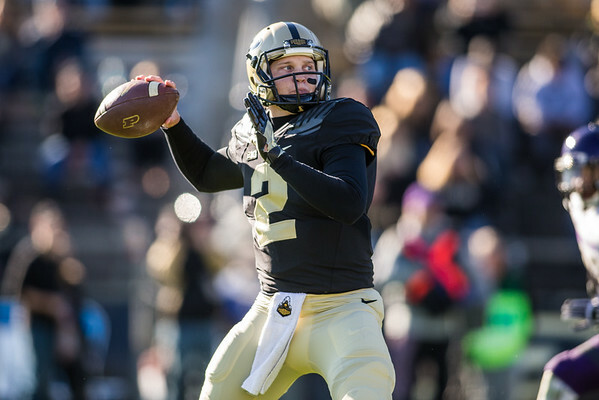 Purdue came out firing and jumped out to a 10-0 lead. The photos were coming along very nicely, and then they stopped coming for a while. At the end of the day it was a good day to watch a football game in a great stadium. I came away with some photos from the game that I liked. After about a day without making an Exposure page I decided to make one as I had some photos that I thought should not be kept for myself. You can view that Exposure page here. 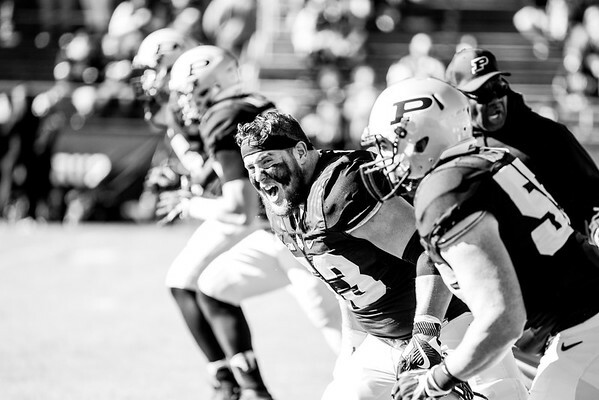 Just before the last Purdue football game I made an image of Boilermaker center Kirk Barron that I really liked. I did not go into this game with anything in mind, but as luck would have it he gave me something once again. As the team was running out of one drill into another he was the only one with his helmet off yelling at his teammates. This fiery pregame yell was one of my favorite photos of the day, and why I always go to an event early. This weekend some of my family put on a tailgate for the Varsity P Club. The usual F lot event moved to the north lot for a game. It was a lot of fun to see some faces that I have not seen in quite some time. 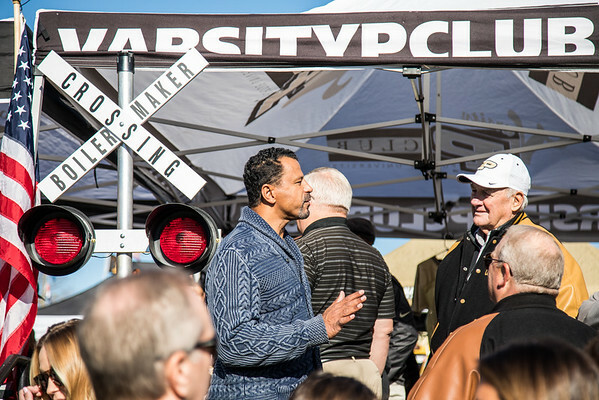 As I was making some photos of the tailgate I noticed Dale Samuels talking to Rod Woodson. I always enjoy listening to Dale talk football. 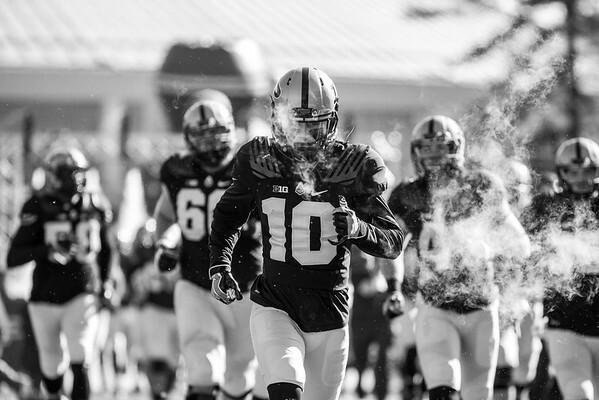 He is a walking encyclopedia of Purdue Football. He has seen a lot over the years there. As I saw them talking I could only imagine what they had to say. This was my favorite shot of the tailgate. One great thing about the Varsity P Club tailgate is the fact that the band basically gives you a concert about an hour before kickoff. With a bright sun in a blue sky I made some images of the band that I liked before ever walking into the stadium. 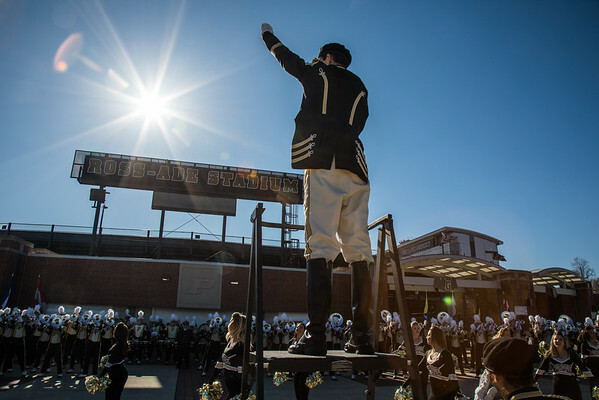 The band is part of what makes the college gameday so much fun. They bring it the entire game without fail. I was happy to make a few photos of them. The Last Ride This Year? This has been a fun, but quick football season. It started out with a quick trip down the road to catch a half of the local football team playing. From there I made my way to Minnesota to document the Indiana State trip to play the Gophers. From there I have had a fun ride, but looking at the schedule it looks like that ride is over this year. I have events booked the next two weekends, and I don’t see anything beyond that for myself. Nothing beats a college gameday, and I will really miss them. This past week I did not make as many photos as I thought that I would. I made up for it with a great weekend. I was able to shoot football, roller derby, and wrestling. You can find some of my favorite photos from the week in my weekly Exposure page here.